Science Week – are you ready? National Science Week is almost here, 13-21 August, and provides students the opportunity to engage with science in a fun and unique way. At Ocean Life Education we make understanding animals and their natural environment simple and easy to remember. We love empowering students and encouraging them to dig deeper in search for answers. We strive to provide an invaluable experience propelling the school kids of today into the scientists of tomorrow. Life within the ocean is one of the greatest wonders of the world and what better way to celebrate Science Week than getting up close and personal with live marine life – from the spiky and slimy to beautiful and wonderful – our creatures are all fascinating to learn about. We look forward to visiting the Year 1 students at Moggill State School and Year 4 students at Clayfield College during Science Week as well as the many early learning centres ready to discover the ocean. We encourage you and your school to jump on board and enlighten your students towards a brighter scientific future. 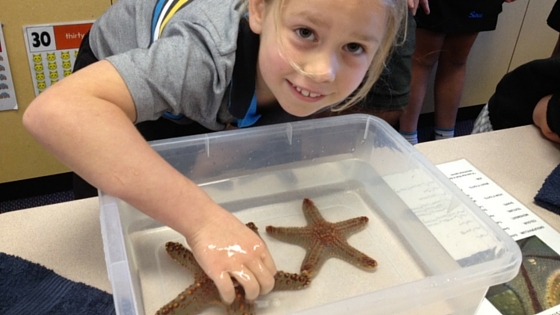 Book a science incursion with our live marine animals today. For great conversation, videos and more, visit the National Science Week website. Our fun and interactive programs cover topics such as plastic pollution, climate change, human impact issues, classification, conservation and life cycles to name a few. Check out our range of curriculum-linked School Program incursions or let us tailor a program to suit your current unit theme. 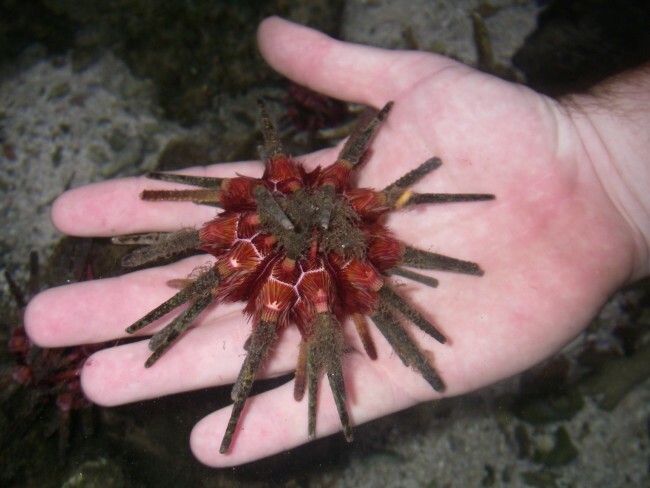 To book your Science Week Ocean Life incursion, contact us today (spaces are limited)! 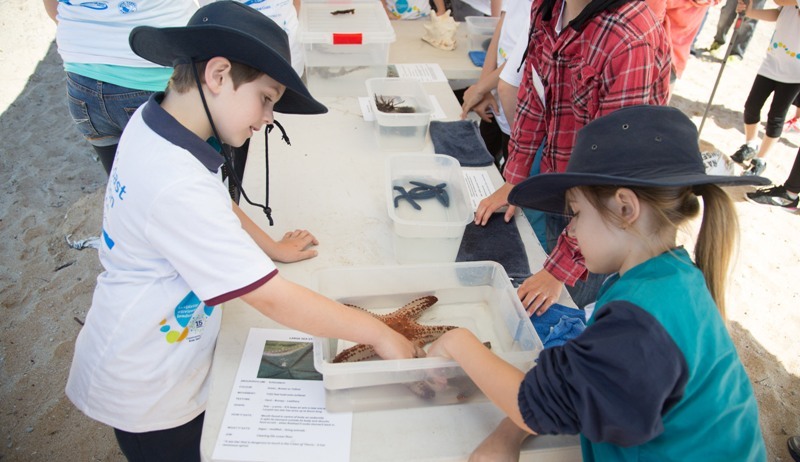 This entry was posted in Schools and tagged marine education, school incursion, science incursion, science week on July 28, 2016 by oceanlifeeducation. It’s a common moral question I’m sure we have all asked ourselves before. Ocean Life Education was built upon the principles of respect for the environment, respect for its animals and a belief that education and understanding will honour the first two. As a Marine Ecologist with a passion for the ocean and an avid diver and sailor, my family and I spend our leisure time at the beach or out on the ocean. When we holiday, we holiday at places that showcase the natural wonder of our oceans so our children grow up having this same love and respect for the natural environment. We created Ocean Life Education in 2006, so we could lead the world in the changes necessary for a healthy planet. To realise this vision, we knew we would need to create a sense of ownership and protectiveness of our oceans in the students and children we teach. Our programs are based upon the principles of Education for Sustainability. The EfS theory “goes beyond providing information about the environment. It is a process which motivates and engages people in creating sustainable futures…” (ARIES). Through our interactive educational programs, children learn why animals’ look and feel the way they do, how their bodies function, what their individual role is in their environment and therefore why we need to look after them. This is how we fulfil our EfS role in engaging and equipping students for positive change that will last a lifetime. At Ocean Life Education, we are committed to animal welfare, care and sustainability. We abide by the relevant legislation such as the Animal Care and Protection Act 2001 and the Nature Conservation Act 1992. Our animals are sourced from world leading suppliers of sustainably collected marine specimens to ensure the safety and protection of the environment. We are dedicated to the welfare of our marine animals while in our protection and during our programs. Our strict ‘1 finger touch’ policy helps us to maintain a positively controlled learning environment for the children and the animals. We ask young children to say and use our care for animal catch phrase “stroking not poking”. Want to see what it’s like when we visit your classroom with our animals? Watch this short video when Ten’s Totally Wild joined us on a school visit. Still want to know more? Read our Frequently Asked Questions. If you still have questions, we’d be happy to answer them. Phone us on 07 5443 8545. This entry was posted in Schools and tagged education for sustainability, live animals, programs, School Incursions on July 12, 2016 by oceanlifeeducation.